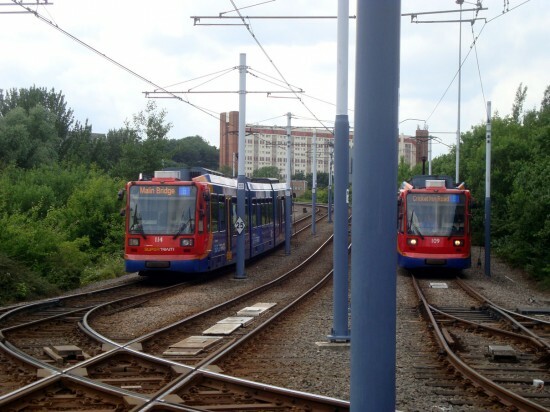 The latest phase of rail replacement works on Stagecoach Supertram have now commenced with the first stage of these works being on South Street Bridge between the delta junction and Sheffield Station. 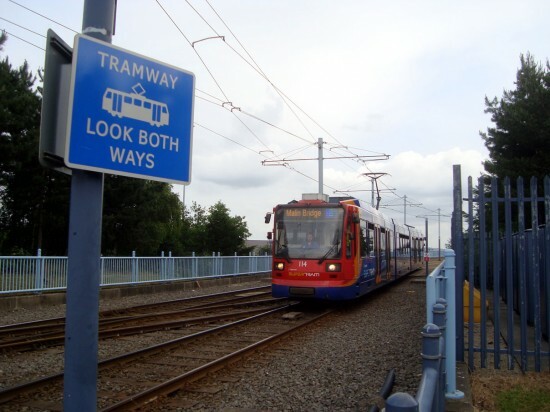 As a result of these works trams on the Blue route from Malin Bridge are being diverted to run onto the Yellow route as far as Cricket Inn Road with the trams then running into the depot to reverse. 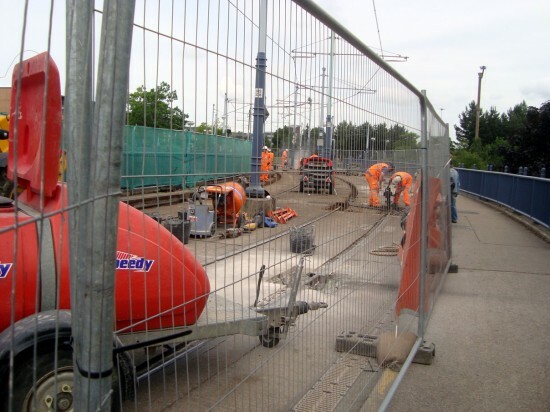 These works are due to continue until the end of this week after which time Blue route trams will run through to Sheffield Station which will act as the terminus until the end of August. 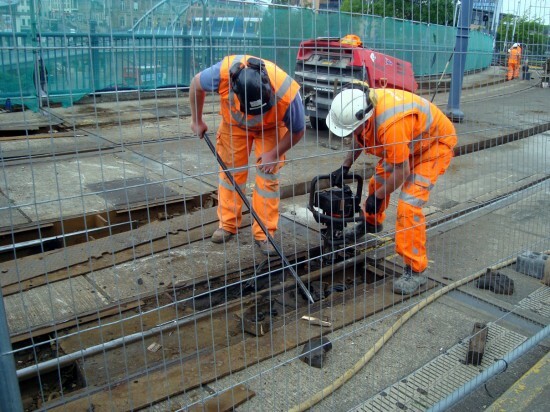 Photos showing the work which has been undertaken this week so far are provided by Stuart Cooke. 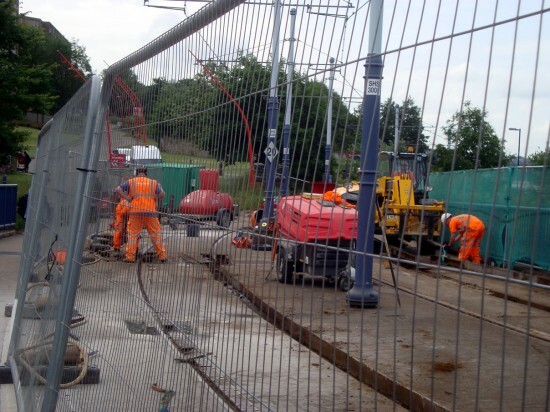 Three images showing the works taking place just off the Park Square Bridge as the line turns towards Sheffield Station. A Blue route tram on the Yellow route. 114 approaches the delta junction with a service from Cricket Inn Road to Malin Bridge.